Hobart House. Hobart’s residents said they hope the University will preserve the non-Greek, all-women housing, after the Housing Master Plan recommended the removal of all residential colleges. 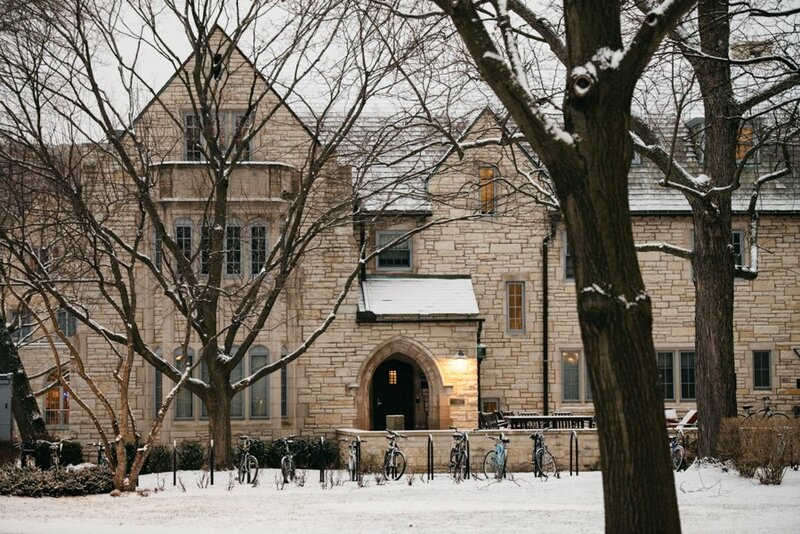 Although she didn’t list Hobart House on her initial housing preference form, Medill first-year Tracy Zhang said after she moved in, the residential college’s “cozy” atmosphere gave her a feeling of belonging. However, the future of Hobart House became unclear after Northwestern released the full version of its Housing Master Plan in January 2018. The plan recommended eliminating all residential colleges and incorporating them into a “universal residential experience”. At an Associated Student Government Senate meeting on Feb. 6, Julie Payne-Kirchmeier, the associate vice president and chief of staff for the Office of Student Affairs, along with Brad Zakarin, the director of Residential Academic Initiatives, spoke with concerned students and said Hobart will remain on campus for the “foreseeable future.” At the meeting, current and past Hobart residents expressed their dissatisfaction with the University’s comments and voiced their desire to preserve the only non-Greek, all-women residence at Northwestern. Weinberg sophomore Elynnor Sandefer, the outreach chair of Hobart House, drafted the ASG resolution to preserve all-women housing. ASG Senate passed the resolution on Jan. 23. Sandefer said she was “not so encouraged” by administrators’ use of the phrase “foreseeable future” because it implied uncertainty. She added that given the unclear outlook on whether Hobart will be eliminated from the residential system, it’s important for Residential Services to continue to work with students and provide them with opportunities to get involved in the discussion. Zhang said her experience living in Hobart this year has been characterized by a strong sense of community, as a variety of events — like munchies, fireside talks and Fellow’s Lunches — are held on a regular basis. Zhang added that she believed the Housing Master Plan was not well thought-out and neglected many students’ practical concerns. Medill sophomore Augusta Saraiva, who came to NU from Brazil, said being an international student made it more difficult for her make friends at first, but that Hobart’s community spirit enabled her to meet more people and establish her friend groups. Because of her positive experience, she said, she decided to live in Hobart again and continues to be an “involved” member of the residential college. Saraiva added that privacy is an “essential” feature of Hobart as it creates a safe space for women-identifying students — especially for students who wear hijabs. Male students are not prohibited from entering the building, but Hobart residents are responsible for informing others about the presence of male students by using phrases such as “Man on the floor,” Sandefer said. She added that these rules are set and followed by the Hobart community, and help ensure its residents can feel safe and comfortable. Despite the negotiations with NU administration ahead, Saraiva said she hopes the University will continue to discuss with students the implementation of its proposed Housing Master Plan and to address the concerns raised by the Hobart community. “The whole situation brought us together, so in a way the struggle is empowering for the residents in Hobart,” Saraiva said.